Many travellers come to the Basque Country just for food, and part of this fame comes for being a country richly scattered with many Michelin Stars. Most of the 94 restaurants having a Michelin Star are either in the Basque Country or in Catalonia. In the whole region there are 17 restaurants awarded with at least 1 Michelin Star (the smallest award by Michelin Red Guide). And all in a small area, which allows San Sebastian to have the record of highest number of Michelin Stars per inhabitant in the world. 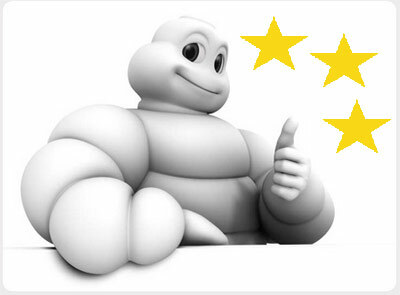 But the maximum level of 3 stars has been repeteadly obtained by restaurants like: Arzak, Berasategi and Mugaritz. These are examples of highest quality restaurants from a culinary tradition that impregnates all the Basque Culture.